Yesterday, I wrote about the duty all librarians and educators share to instill empathy and compassion in our young readers by actively promoting books that engage and educate them in the experiences of others. You can read my first post on this topic here and see the books I recommend from Slavery through Jim Crow. I’m continuing that post today with books that address various aspects of the Civil Rights Movement as well as novels that look at contemporary teenage Black lives. John Lewis is a civil rights legend and his graphic novel memoir March: Book One (2014 Outstanding Books for the College Bound, 2014 Top 10 Great Graphic Novels for Teens) should be required reading in classrooms across America. The book details his childhood in rural Alabama, his introduction to non-violence, the founding of the SNCC, and ends with the historic lunch counter sit-ins in the late 1950s. With the sequel coming out today, it’s the perfect time to showcase both works! 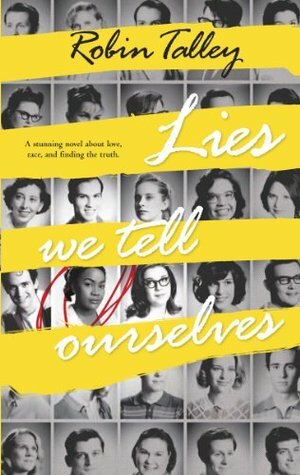 Robin Talley’s Lies We Tell Ourselves is a fictionalized account of the desegregation of schools in the late 1950s. Set in 1959, the story is told in two voices: Sarah, one of ten Black students attending the all-white high school in Davisburg, Virginia, and Linda, the white daughter of a prominent newspaperman intent on keeping segregation alive. The visceral accounts of Sarah’s first days at school alone make the book worth reading but it is the examination of how internal change can and does happen that truly makes the novel a compelling read. Another book told in two voices is Revolution by Deborah Wiles which follows Sunny, a young white girl, as she grapples with the tumultuous changes happening around her during 1964’s Freedom Summer and Raymond, a young Black boy, who is coming to terms with the vast disparities between his community and the white community that surrounds him. Despite focusing more heavily on Sunny’s story, the book provides extraordinary insight into an era by incorporating numerous primary sources ranging from photographs, SNCC recruiting brochures, song lyrics, and even KKK pamphlets….fascinating stuff! Kekla Magoon’s debut novel The Rock and the River won the 2010 Coretta Scott King/John Steptoe Award for New Talent when it came out and with good reason. A complex and layered look at the struggle for civil rights, the book tells the story of 13-year-old Sam, son of a well-known Civil Rights activist. As the story begins, Sam follows his father’s belief in non-violence unquestioningly until tragedy strikes and he finds himself siding more and more with his older brother who is a follower of the Black Panthers. 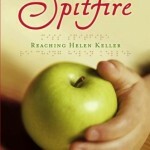 The books offers no easy answers and is eloquent in its portrayal of a time fraught with tension and change. Put simply, One Crazy Summer by Rita Williams-Garcia (2010 National Book Award Finalist) is a delightfully addictive middle grade read that somehow manages to explore parent neglect, sibling relationships, the Black Panther movement, and coming-of-age from a humorous, yet multi-faceted lens. Set during one summer in Oakland in 1968, it is the story of three sisters sent to visit their mother who abandoned them as children. As they navigate their uncertain relationship with their mother, they also are introduced to a new world of thinking and believing through their local Black Panthers day camp. Few authors have done more to build understanding and awareness of Black lives than the late Walter Dean Myers. A literary legend in the YA world, his works are particularly notable for their raw and honest portrayal of teenage Black boys. My personal favorite is Monster (2000 Printz Award), a seminal work in the field, that tells the story of 16-year-old Steve Harmon who is on trial for murder. Narrated in the form of a film script, it is a moving account of a young man struggling with the consequences of one fateful decision. Despite its slim size, Jacqueline Woodson’s novel Hush (2003 ALA Best Book for Young Adults) packs an emotional punch that will leave you thinking long after the cover is closed. Toswiah Green’s father, the only Black cop on the force, witnesses his two white fellow officers murder a Black boy. In choosing to testify against them, he puts his family at risk and they are forced to leave behind everything they know. 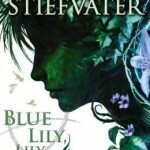 Toswiah, now Evie, must learn to reinvent herself against all odds. 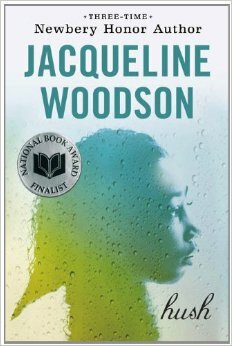 Woodson deftly explores racism, identity, family, and grief through her portrayal of a family falling apart after having entered the Witness Protection Program. Based on the true 1994 story of an 11-year-old gang member, Yummy: the Last Days of a Southside Shorty by G. Neri (2011 Coretta Scott King Author Honor Award, 2011 Great Graphic Novels for Teens) is a beautifully illustrated graphic novel told from the perspective of a fictional classmate of 11-year-old Yummy who accidentally kills a neighborhood girl and seeks safety with his gang who instead execute him. It is a heart-breaking account of one boy’s attempt to find family in a gang and the ways in which society and his community fail him. 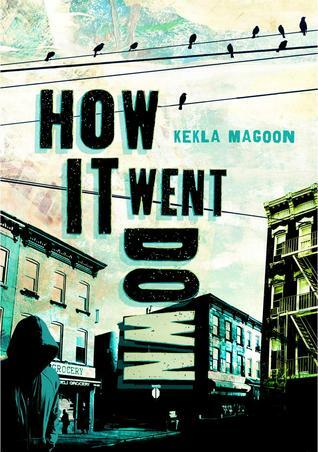 How it Went Down is Kekla Magoon’s newest novel and a particularly relevant read right now. Beginning with the death of 16-year-old Tariq at the hands of a white man, Magoon calls into question the perceptions, assumptions, and stereotypes that come into play any time a tragedy like this occurs. Told through a diverse set of voices, the novel is most powerful in its ambiguity as the reader must also attempt to make sense of the events that unfolded. This would be a fantastic discussion starter for young people seeking to understand the senseless deaths of so many young Black men under similar circumstances. In ending, this list is obviously incomplete and I welcome any additions in the comments! 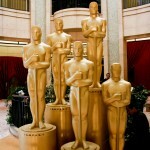 It would be wonderful to have a crowd-sourced list of quality fiction for all to use. 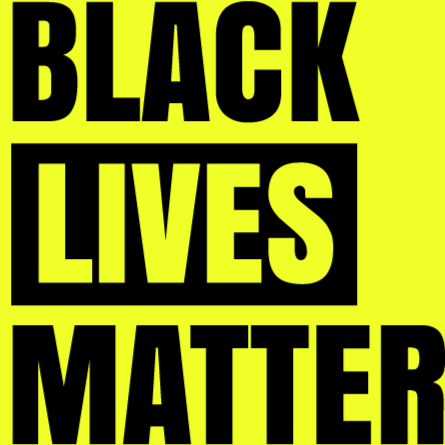 For those of you seeking more resources (including non-fiction, media, and teaching materials) related to the events in Ferguson and the Black Lives Matter movement, check out Oakland Public Library’s excellent resource guide and Teaching #Ferguson. Finally, I hope you’ve been inspired to not only read some of the books on this list but also to create displays in your libraries related to this topic. If you have or do, please share links to photos of your displays in the comments section! 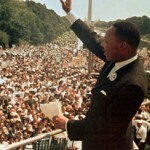 A great nonfiction title is We’ve Got a Job: The 1963 Birmingham Children’s March by Cynthia Levinson. I loved both of Kekla Magoon’s novels, Hush and Monster, great post! Thank you.